If you watched the Royal Wedding (stay with me on this) you can’t have failed to notice that the happy couple drove away in an E-type Jag… which was electric. Built by Jaguar itself, this was one of a growing number of classic cars being converted to battery power. At first sight, it sounds like sacrilege, but the offer of smooth, quiet running, easy driving and even easier maintenance seems to be leading more classic car owners to go the electric route – Range Rovers, Fiat 500s and VW campers have all been done. 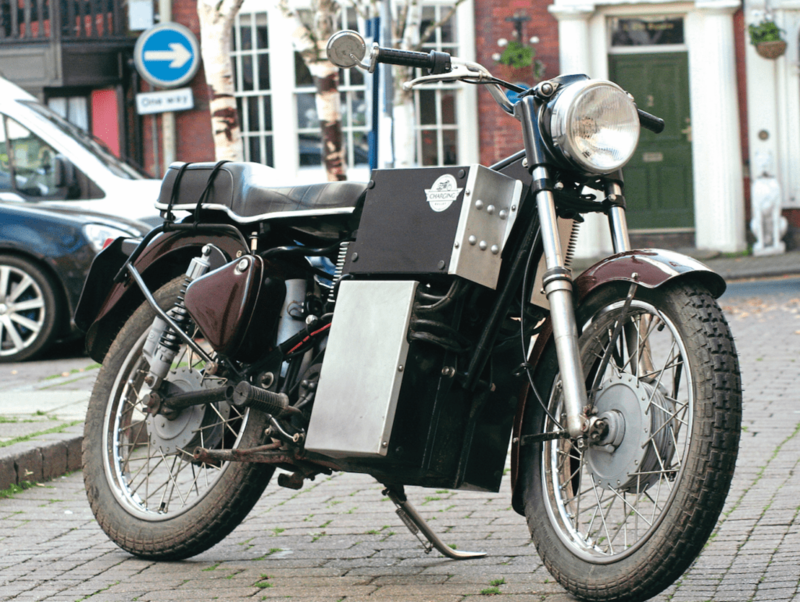 However, no one (as far as we know) had tried to electrify a classic bike – until now. Fred Spaven probably isn’t your typical classic bike owner, being under 30, very keen on energy efficiency and concerned about climate change. 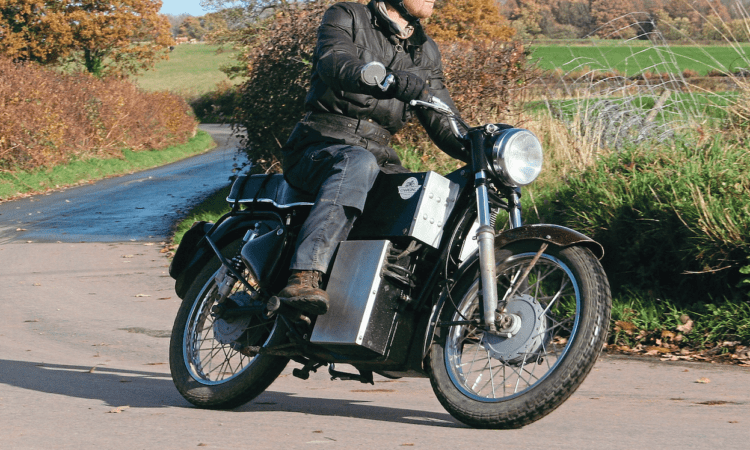 He also knows his classic bikes, commutes to work every day on a Bantam and restores them for a living. 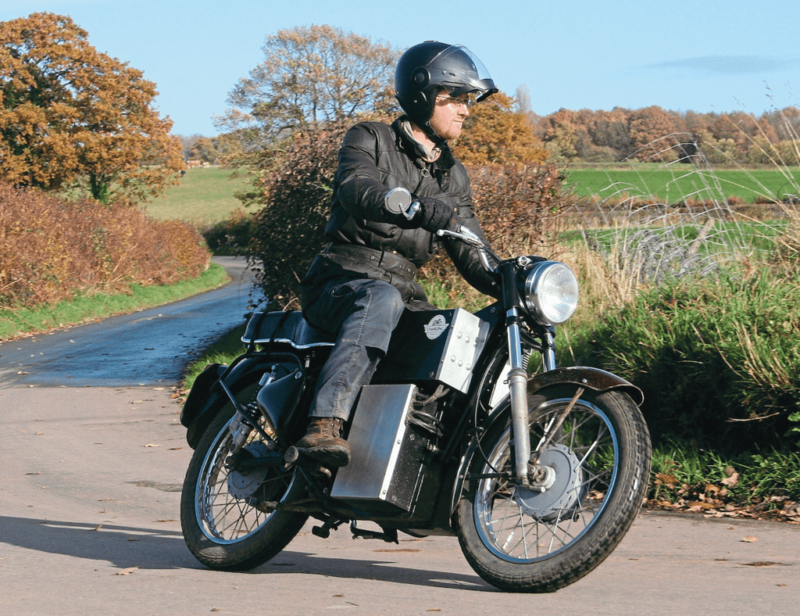 Fred’s journey to the ‘Charging Bullet’, as he wittily names his electric bike, started with buying a 1961 Royal Enfield Bullet, intending to get it running as a regular commuter. It was, however, to use a technical term, knackered. He came up with the idea of converting it to battery power, sourcing secondhand Nissan Leaf batteries on the interweb, forking out for a new Saietta motor (British, no less) and doing a lot of research to find a suitable controller and battery management system. Then it was a case of designing a suitable subframe and plates, part of the design brief being to use the existing engine mounts, thus making the electric conversion completely reversible. 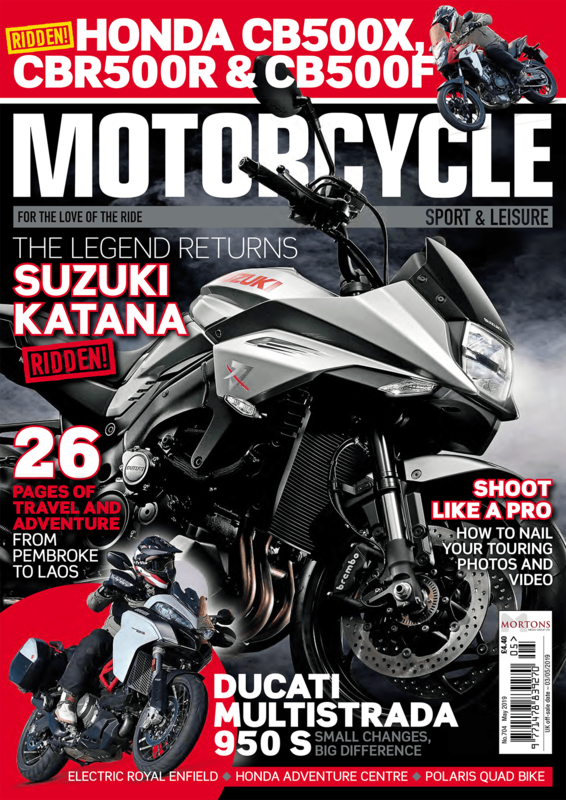 To read more of Peter’s article on the electric Enfield, check out the May issue of Motorcycle Sport and Leisure, out now!